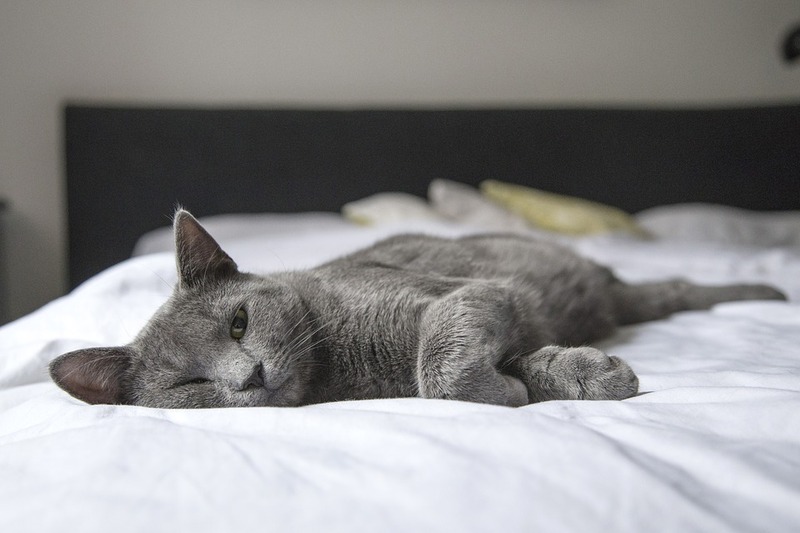 Do you often catch you cat intensely staring, squinting or blinking at you or other pets in your home? You may be wondering what they are thinking or what they are trying to tell you or other cats. Or maybe these behaviours go unnoticed and you just assume that they don’t really mean anything. Well you cat’s eye behaviour might mean more than you think. 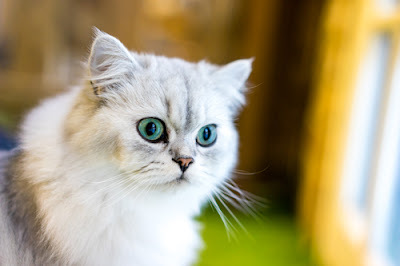 Different movements your cat does with his or her eyes usually has a meaning behind it. So, what do these different eye behaviours mean and can you communicate with your cat by using them? One of the most common cat eye blinks you may see when your cat is looking at you is the known as the kitty kiss. This is a common behaviour amongst most cats that indicates a non-aggressive, friendly or loving behaviour. Between cats, the slow eye blink is used as a non-threat signal to maintain good social interactions, or smooth over relationships between other cats. The slow eye blink from your cat to you is the kitty kiss. This is your cat’s way of showing you love or is almost the equivalent of giving you a kiss. Did you know you can show this love back? If you want to show your cat just how much you love them, try this slow eye blink next time you see them glancing at you. Chances are, your cat will return this eye interaction with a kitty kiss. 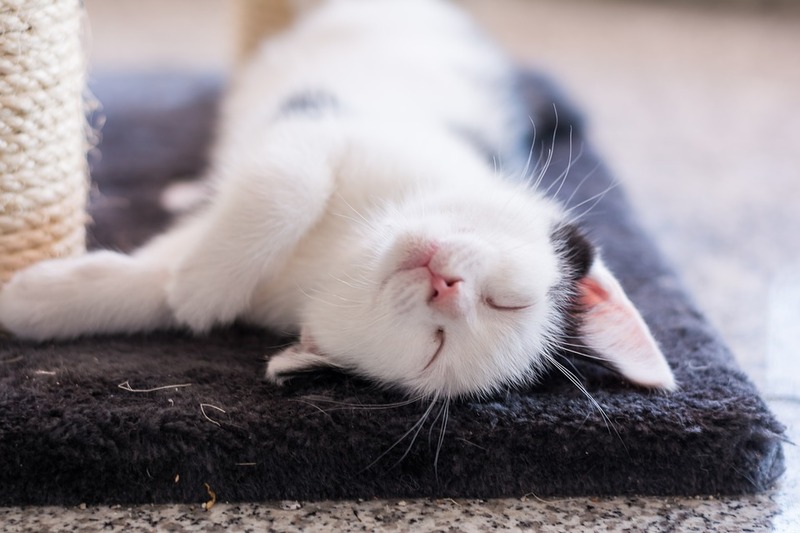 Cat’s eyes will communicate information depending on how they open their eyelids and what their eyes do. Their eyes demonstrate strong emotions that can be easily recognised by other cats. Here are just a few eye behaviours between cats and what they mean. An unblinking, prolonged stare between two cats is an intimidating gesture that will result in the lower-ranking cat of the two to turn away and leave the area. A long-distance stare from one cat to another is used for a cat to control the access of another cat to their territory. For example, cats understand that the top cat will be guarding the hallway that leads to their litter box and will not dare to challenge and trespass into their territory. A slit-eyed look from one cat to another indicates a cat’s fear of aggression, and is used to protect their eyes from a potential claw in the eye from the other cat. 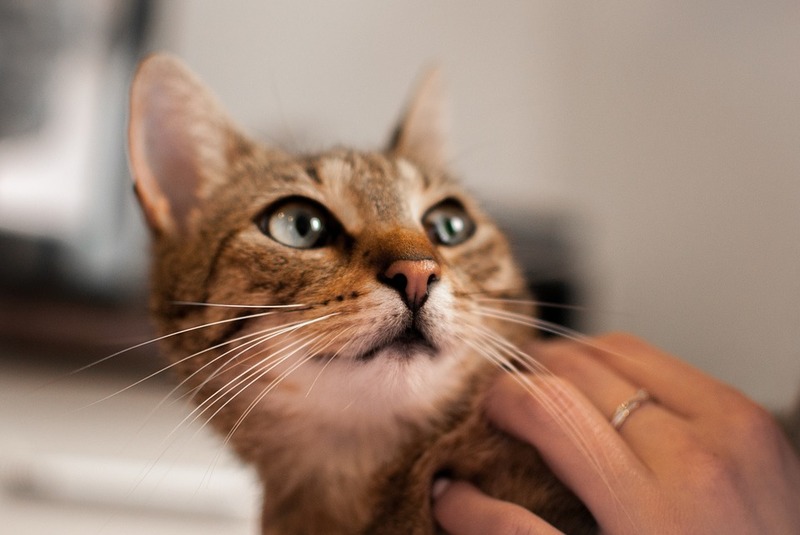 If you are meeting a cat for the first time and would like to greet/pat them, it is best to not look directly into their eyes for the first part of the interaction. If you do, this will intimidate them and they will leave, or it could also bring out their aggressive nature. If this happens, you may never be able to form a civil or friendly relationship with this cat again. So keep in mind to be careful when greeting new cats and never start by looking directly into their eyes. really good info. tells me a lot about my cats behavior to me and my other cats.